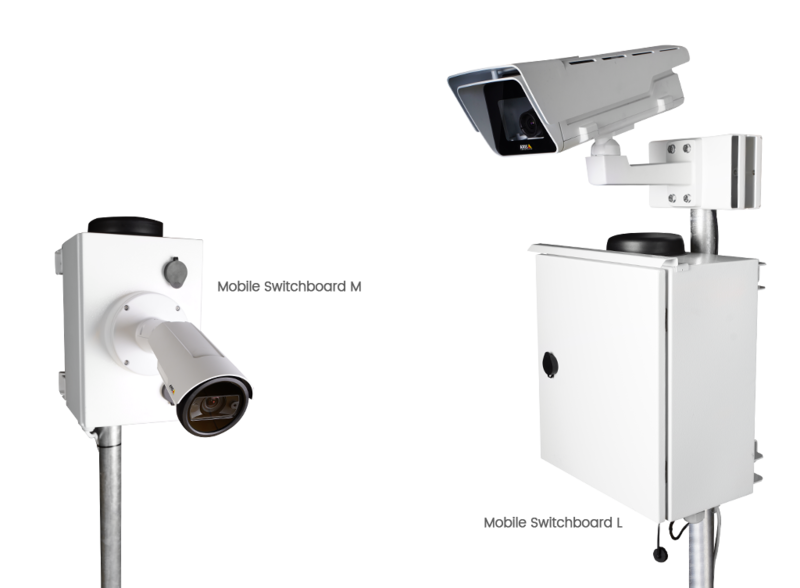 Reliable solution for installing IP cameras in sites with limited Internet access and power supply. NetRex Mobile Switchboard is a cost-effective industry solution for transmitting live video and recording from sites with limited Internet access. 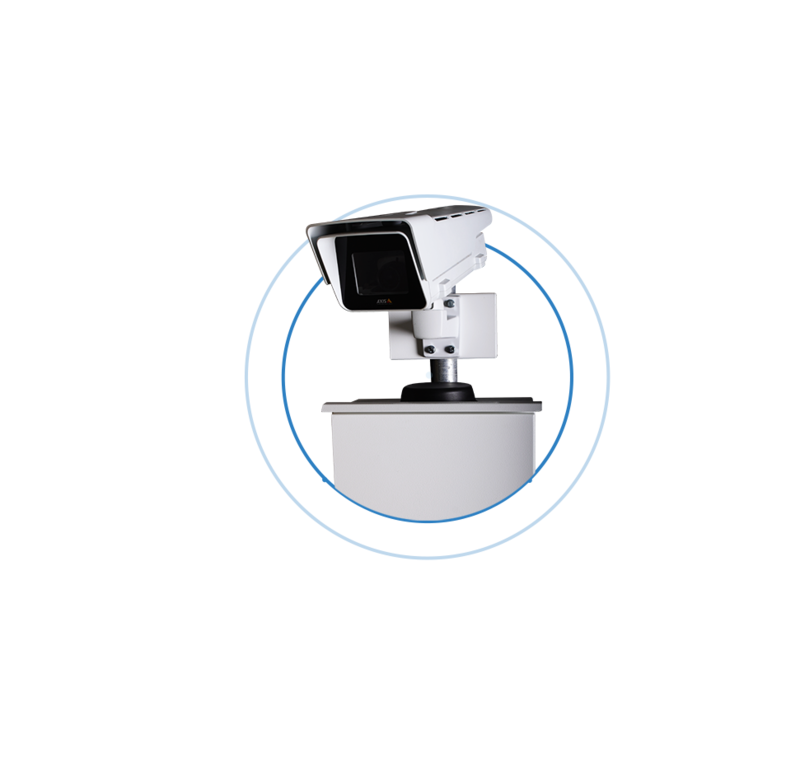 This solution uses a mobile switchboard with an Axis IP camera, which you just install at the monitored site at the required location, connect to the power supply and in just a few minutes just use the live image, including recordings in the online NetRex platform. The NetRex Mobile Switchboard is the ideal solution for buildings, city police, tourist centers, sports events, parking lots and any remote locations such as cabins, cottages and holiday homes that you want to secure. Thanks to the Mobile Switchboard, you can efficiently monitor the course of the building, respond to security issues in different locations, and take care not only of safety, but your audience in attractive tourist spots or sporting events. Monitoring is important! The NetRex system monitors not only your property but you. As a result, you are immediately alerted to any potential issues by a Push notification or e-mail. The entire system can also be easily expanded with other checking and signaling options such as a thermometer, shock detector, hygrometer and light beacon. Maintain absolute control. The high-capacity SD card inserted directly into the camera makes it possible to store records at the highest possible quality. 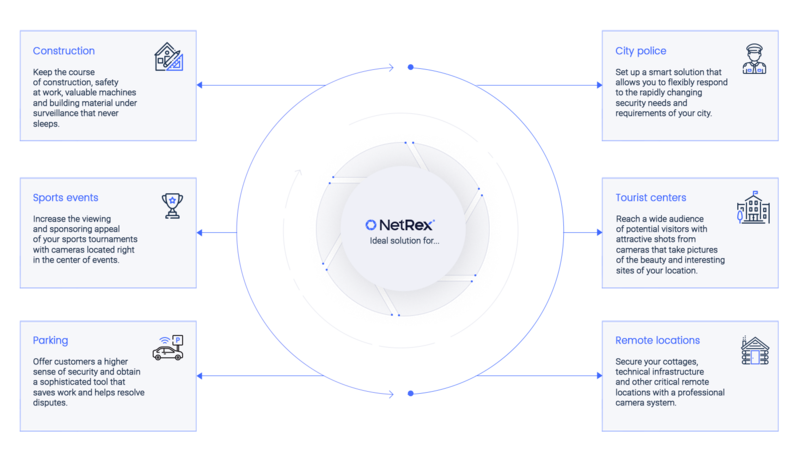 You can also use concurrent uploading to remote secure NetRex servers, which will pay off when the camera is stolen. Take advantage of the latest technology. The integrated GPS module in the dedicated multifunction router informs you about your current location as well as its sudden change. Thanks to this thieve don’t have a chance! The Wi-Fi card set up in the multifunction router ensures that Wi-Fi access points are set up quickly. This will allow not only local access to the camera and recordings, but access to the Internet from other devices in the locality. A practical feature that you will appreciate. The multifunctional LTE router and compact antenna ensure reliable connection to the Internet. The router features slots for 2 SIM cards that can be switched when reaching a data limit or when roaming is detected. It is also equipped with LAN connectors for connecting the camera and other IP devices and an I O connector for external inputs and outputs. A GPS module and a Wi-Fi card are also part of it. Wi-Fi can be used in access point or client mode. Rely on us! The L mobile switchboard is fitted with an Ethernet connector with a dust cap (IP68). As a companion part, a black UTP cable of 2 meters in length is included with the RJ-45M connector for connecting the camera. The M20 grommet is serves for the mains supply and the M20 (Mobile M) or M32 with 4 cable entries (Mobile L Switchboard) is available for additional system expansion. Make sure everything is resistant. Access to the switchboard is possible by means of two supplied keys to unlock the cylinder lock. A protective contact is installed against the unauthorized intrusion into the L Mobile Switchboard, which will announce the opening of the switchboard. Security is a priority for us. The system is fully assembled and can be easily placed on a wall or column with a diameter of 45-150 mm. For simple installation, you only need a 17 mm assembly wrench, a mobile operator signal and a 230 V power supply. Smart power supply will be provided by a stabilized power supply and a high-quality battery that will keep the system operating for up to 20 hours without power, with a full charge of 6 hours. The power supply itself informs you of a power failure. Use smart and simple system control. All technologies are delivered in a tailored self-supporting electrical cabinet. The switchboard is made of 1.3 mm thick sheet metal, galvanized and sprayed with high quality powder paint. Thanks to this it does not corrode and lasts for a long time in a perfect condition. At the same time, it has IP65 protection - completely dustproof and resistant to splashing water. Desire the highest possible quality. The whole technology protects several protection circuits in order to ensure their operation even in unfavorable situations. Ensures protection against short circuiting, surges, current shock and PoE power supply of the camera. At the same time, there are advanced detection features such as GPS localization, unauthorized intrusion, power supply failure, camera unavailability, or the temperature inside the switchboard. Already no damage! The battery can power the LTE router and, for example, 2 Axis P13xx-E static cameras or 1 Axis P56xx-E series camera for at least 20 hours without power supply.